20 Commercial Real Estate & Properties in Molendinar are listed in 3 categories. We have 18 Industrial Warehouses Sale , 1 Other Commercial PropertiesSale and 1 Retail ShopsSale . Construction well underway High quality Industrial units in the heart of Gold Coast 149 SQM warehouse 39 SQM mezzanine Total area of 188 SQM Tilt panel construction by award winning developer Secure your unit today https://youtu.be/THJGiSZdxc4 Approximate If Applicable For more information please contact Sandra Carder. DISCLAIMER: Subject to the provisions of the Trade Practices Act 1974 and subject to any other non excludable statutory provisions. Ellison Specialised Properties Pty Ltd for themselves and for the Vendors of this property for whom they act give notice that: (i) all information given in relation to this property whether contained in this document or given orally, is given without responsibility; (ii) intending purchasers should satisfy themselves as to the truth or accuracy of all information given by their own inspections, searches, enquiries, advices or as is otherwise necessary; (iii) no person in the employment of Ellison Specialised Properties Pty Ltd has any authority to make or give any representation or warranty whether in relation to this property. Located in the heart of Molendinar's Industrial precinct, these high and dry 'storage units' offer the perfect storage solutions for business looking for extra space for equipment, archives or vehicles. Alternatively these units make the perfect "Mancaves" to store toys or household overflow. Consisting of 8 meter roof height and three levels, these very unique units provide optimum storage solutions over multiple levels for multiple uses. 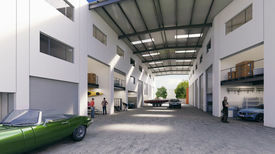 214 SQM work store and mezzanine over 2 levels Low maintenance investment opportunity or ideal storage solution Communal wash bay Under cover breezeway providing 24/7, all weather use Multi leveled units Fully gated and secure estate https://youtu.be/unUXD3V4YGY DON'T MISS OUT! For more information please contact Sandra Carder. Approximate If Applicable DISCLAIMER: Subject to the provisions of the Trade Practices Act 1974 and subject to any other non excludable statutory provisions. Ellison Specialised Properties Pty Ltd for themselves and for the Vendors of this property for whom they act give notice that: (i) all information given in relation to this property whether contained in this document or given orally, is given without responsibility; (ii) intending purchasers should satisfy themselves as to the truth or accuracy of all information given by their own inspections, searches, enquiries, advices or as is otherwise necessary; (iii) no person in the employment of Ellison Specialised Properties Pty Ltd has any authority to make or give any representation or warranty whether in relation to this property. 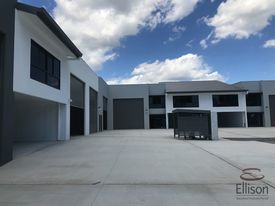 346 SQM unit with 280 SQM warehouse & 66 SQM mezzanine Tilt panel construction Security cameras & gated estate Ideal Gold Coast central location High quality units by award winning developer Enquire now for full property IM https://youtu.be/kgCcINeeRJg Approximate If Applicable For more information please contact Sandra Carder. DISCLAIMER: Subject to the provisions of the Trade Practices Act 1974 and subject to any other non excludable statutory provisions. Ellison Specialised Properties Pty Ltd for themselves and for the Vendors of this property for whom they act give notice that: (i) all information given in relation to this property whether contained in this document or given orally, is given without responsibility; (ii) intending purchasers should satisfy themselves as to the truth or accuracy of all information given by their own inspections, searches, enquiries, advices or as is otherwise necessary; (iii) no person in the employment of Ellison Specialised Properties Pty Ltd has any authority to make or give any representation or warranty whether in relation to this property. High quality project construction well underway Total floor are of 529 SQM with 413 SQM warehouse and 116 SQM mezzanine 16 quality units in the complex Secure your unit with only $ 5 000 Deposit today Tilt panel construction by award winning developer Prime central Gold Coast location Full information memorandum available https://youtu.be/kgCcINeeRJg Approximate If Applicable For more information please contact Sandra Carder. DISCLAIMER: Subject to the provisions of the Trade Practices Act 1974 and subject to any other non excludable statutory provisions. Ellison Specialised Properties Pty Ltd for themselves and for the Vendors of this property for whom they act give notice that: (i) all information given in relation to this property whether contained in this document or given orally, is given without responsibility; (ii) intending purchasers should satisfy themselves as to the truth or accuracy of all information given by their own inspections, searches, enquiries, advices or as is otherwise necessary; (iii) no person in the employment of Ellison Specialised Properties Pty Ltd has any authority to make or give any representation or warranty whether in relation to this property. Total floor area of 267 SQM consisting of 209 SQM warehouse plus 58 SQM mezzanine Construction underway of these high quality tilt panel units Located in the heart of Gold Coast Centrally located to Gold Coast CBD Award winning developer Enquire now for full property report https://youtu.be/kgCcINeeRJg Approximate If Applicable For more information please contact Sandra Carder. DISCLAIMER: Subject to the provisions of the Trade Practices Act 1974 and subject to any other non excludable statutory provisions. Ellison Specialised Properties Pty Ltd for themselves and for the Vendors of this property for whom they act give notice that: (i) all information given in relation to this property whether contained in this document or given orally, is given without responsibility; (ii) intending purchasers should satisfy themselves as to the truth or accuracy of all information given by their own inspections, searches, enquiries, advices or as is otherwise necessary; (iii) no person in the employment of Ellison Specialised Properties Pty Ltd has any authority to make or give any representation or warranty whether in relation to this property. Retail/take Away Shop $650,000 + GST (if applic.. The Lachlan Marshall Jared Johnson Team as marketing agents are pleased to present 13/8 Production Drive, Molendinar. Completion set for late 2018 this quality constructed architecturally designed industrial development presents a unique opportunity for you to secure a functional warehouse strategically located within one of the Gold Coasts most central industrial estates with close proximity to major arterial roads, including Smith Street Motorway and the M1 Pacific Motorway. 285m2 Warehouse (Includes 227m2 Warehouse + 58m2 Mezzanine / Office) $645,000 + GST 16 units available (3 already under contract) be quick! Sizes ranging from 110m2 660m2 Initial $5,000 deposit Modern concrete tilt panel construction Multiple allocated car parking options Excellent internal height throughout Exclusive amenities in each unit Fully fenced with automatic gates landscaped complex Video security system recording 24 hours Semi trailer access and parking Call us today for a detailed Information pack! Motivated vendor with very clear instructions to sell Don't miss this rare and outstanding opportunity! Inspection by appointment only For further information please contact marketing agents Lachlan Marshall or Jared Johnson click on the link above. Approximately Disclaimer: Ray White has not independently checked any of the information we merely pass on. We make no comment on and give no warranty as to the accuracy of the information contained in this document which does not constitute all or any part of any offer or contract by the recipient. Prospective purchasers / lessees must rely on their own enquiries and should satisfy themselves as to the truth or accuracy of all information given by their own inspections, searches, inquiries, advices or as is otherwise necessary. No duty of care is assumed by Orchid Avenue Realty trading as Ray White Surfers Paradise Commercial divisions toward the recipient with regard to the use of this information and all information given is given without responsibility. This property is offered for sale with 113m2 on the ground floor and with an 30m2 of mezzanine office. 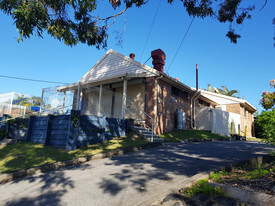 Located in a quiet complex this factory is in Molendinar close to the M1 (Pacific Motorway) and the Smith Street Motorway, close to the hub of Commonwealth Games. This size factory will be a popular choice for the discerning buyer. This complex boasts a secure gated entrance giving the safety minded owner some peace of mind.